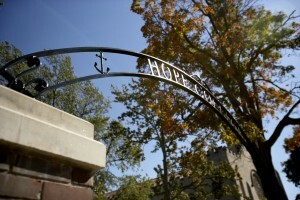 Step foot on campus, and it’s not long before you realize that Hope College is the kind of place that changes lives. Hope comes alive in our vibrant Christian atmosphere and our focus on the holistic development of each student. It inspires through our nationally accredited fine arts programs and our championship athletics. It challenges and emboldens with our distinctive academic rigor and our commitment to the highest levels of scholarship. At Hope College, we believe in the depth of our academic curriculum. It’s challenging and highly collaborative, with deep roots in the liberal arts tradition enhanced by a rich heritage of graduate school-style research in every field of study. We believe in our faculty, too. These active, engaged scholars are dedicated to teaching — and to encouraging the intellectual excitement essential to a lifetime of learning. Together with our caring staff, Hope professors are committed to the success of each and every student, helping them to think about life’s most important issues with clarity and wisdom. In today’s world — a world where diverse human communities call out for innovation and interconnection — Hope matters. This blog, Hope Matters, will be a space for the college to share exciting stories of scholarship and research conducted by members of the Hope community. Whether in a laboratory, in the field or in the studio, the work of Hope College is transformational and inspirational. We’ll showcase it here.